Color and Tribal Design may vary according to the artist’s inspiration. 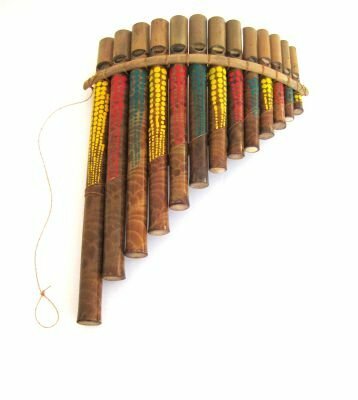 Handmade Item: You may receive a PLAIN OR PAINTED PANFLUTE depending upon our inventory. Allow for variances in color and grain of wood including some discoloration which is a characteristic of natural bamboo and adds character to the item.